Trick or Treat! 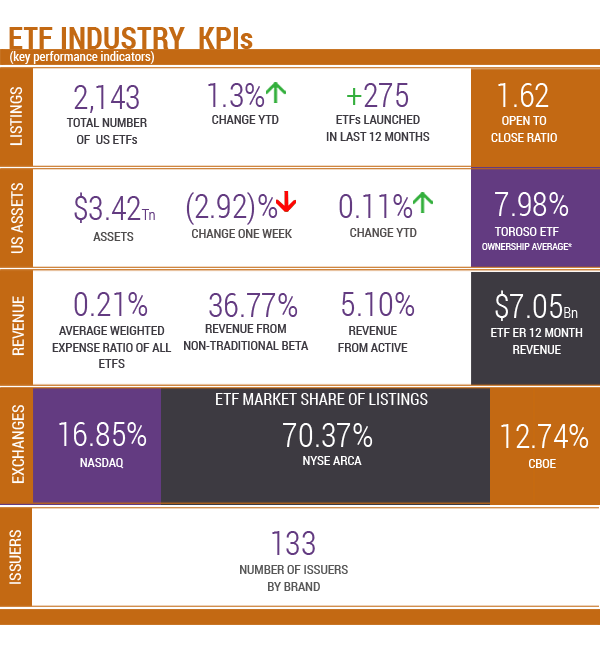 Advisors and investors beware – Momentum as a factor is defined differently within named ETFs which in fact do not have meaningful overlaps, and perhaps with good reason. Similarly, Value, Growth, and Quality as factors also seem to be subjectively evaluated, but in this report our focus is simply on momentum. ETF nerds may yawn at this obvious fact, but we think it is more important that advisors and fiduciaries focus on the definitions of quality, value, and growth than that of fee. The performance by these factors will reflect the sentiment by investors in what stage the markets are in, in terms of optimism and risk. Advisors should be careful about their own business momentum. At this late stage of the market cycle, we believe that the wrong combination of ETFs in a portfolio could lead to a reversal of an advisor’s business momentum. 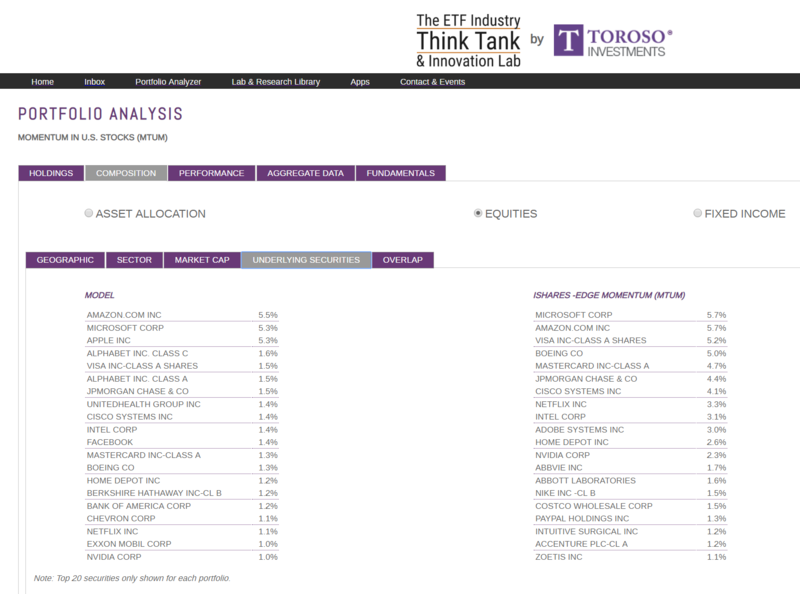 As an example, if an advisor is complacent and is using the wrong combination of value and growth ETFs, they might find themselves in an overweighted position in Microsoft which is a 6.5% weighting in both the Vanguard Large Cap Value ETF (VTV) and the SPDR Portfolio S&P 500 Growth. Microsoft is the S&P500’s second largest position at 3.6% position. Those in the Tank can use the Comparison Tool to easily discover that there is less than 50% overlap between the holdings for the named Momentum ETF solutions, and not coincidentally, this same tool shows that growth had more of a momentum overlap than the value factor. Note we use the in the iShares Edge MSCI -USA Momentum Factor as the benchmark to beat because Assets under management total $9 billion. Arguabl,y the key question should be whether an investor seeks broad U.S. exposure or large cap exposure more than a discussion about 8 Basis points or 29 Basis points or free trading. The investment outcome will be determined by the position sizing which can range from 99 holdings to 1,200 holdings? Also, worthwhile noting is the question again of how much Microsoft (MSFT) or Amazon (AMZN) a portfolio should hold. 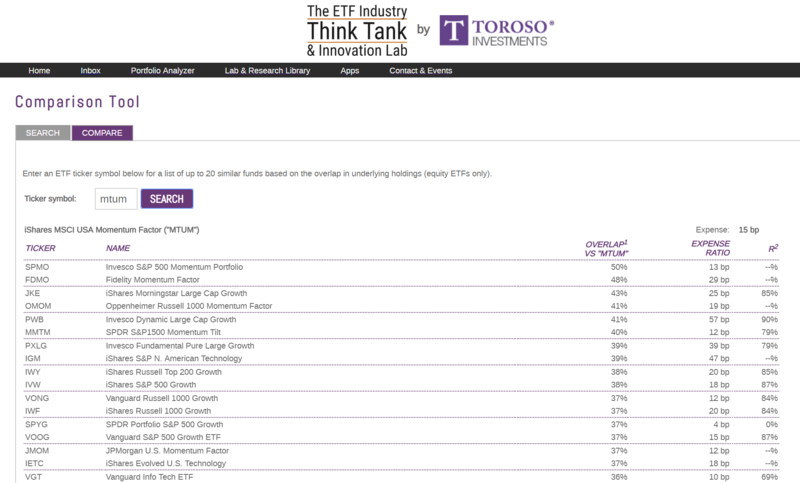 The Invesco S&P500 Momentum ETF (SPMO) holds almost 17% of the portfolio in these two companies! Comments are often made about the momentum and breadth of the market without a clear definition. Given our focus on ETFs, we propose that advisors look to the momentum ETFs for clarity of the breadth of the market and its fundamentals. 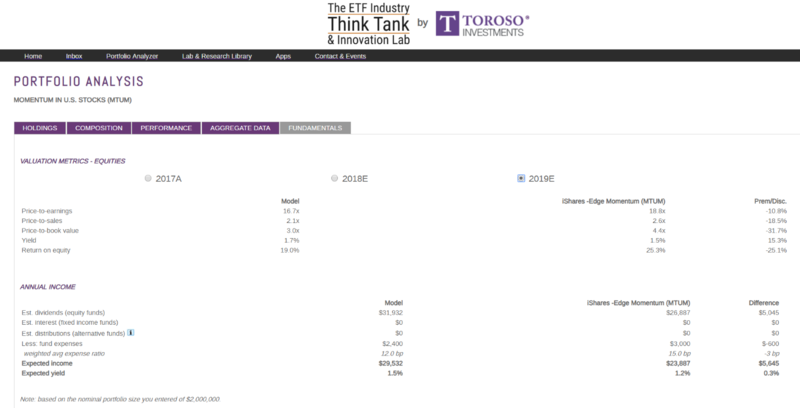 Evidence of this thesis can be illustrated in the fact that the broad SPDR 1500 Momentum ETF (MMTM) has underperformed the more concentrated iShares (MTUM) ETF, i.e. the past 3 and 5 year returns for MTUM and MMTM show meaningful outperformance by MTUM at 50% and 95.76% vs 40.8% and 69.82%, respectively. While past performance may in fact be different than future performance, we note that this simple data set helps define the breadth of the market over this period. We see this data as evidence that historical performance came from the concentration in holdings more than fee savings (99 vs 1,200 positions). 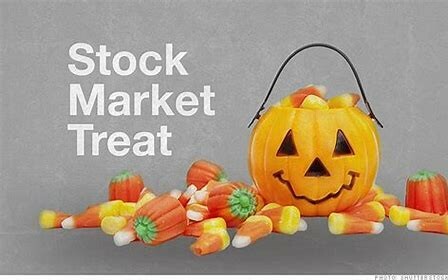 If the business opportunity today remains as strong as it did in September and has been validated by earnings reports arguably, this sets up as an opportunity that should offer a compelling risk/reward investment. The challenge of course is that advisors and their clients may now have to go back to doings securities analysis and think in a contrarian manner. Catching a falling knife is always hard, but arguably that is when you get the best value and potential upside. Long term, for growth, we think Robotics and Automation, through Global ROBO (ROBO) is such a theme. Earlier in the year, the index that drives ROBO traded at 22x forward EPS, but today it is at 17.5 times and earnings in the index are expected to grow by about 20%. High yield may be a very controversial idea. The track for U.S. interest rates is higher, but we see the InfraCapital MLP ETF (AMZA) a compelling value opportunity. The dividend yield is running at a 20% rate at 11 cents a month dividend payout. MLPs may remain out of favor, but the need for the infrastructure is irrefutable and the balance sheets of the companies in the industry are strong today. We also see the trend in online retail continuing and consolidation of the brands an inevitable cross selling opportunity. To capture the momentum of this growth theme we prefer the diversification provided by the Amplify Online Retail ETF (IBUY) over those ETFs that have concentration in Amazon. We will find out in November soon whether October’s correction proved to be short lived and a classic opportunity. Certainly, the risks of headwinds may persist, but regardless advisors should not act as zombies. Stay focused on your due diligence. The importance of security selection is at the core of any client’s wealth management plan. Returns as of October 29, 2018. As of October 29, 2018. As of October 29, 2018. Source: Morningstar Direct.